If you’ve ever wondered what my biggest influence was for this podcast, it was listening to The Crush podcast, hosted by Christina Pickard and Whitney Adams. The podcast was a very relaxed fun look at wine and incorporated guests and very entertaining segments. They started the podcast when Christina was in London, and Whitney was in Los Angeles, but after Christina relocated to her husband’s home town of Perth, it became more difficult to record the show. She continues to write and present, but she has also more recently started The School of Wine to educate Perth wine lovers in a fun environment. My second day in the Finger Lakes had much better weather thank goodness; it was a bit sketchy driving back to the motel in heavy rain at night (and by night I mean 5:00 p.m.) The Finger Lakes like the Niagara Escarpment were formed in the last Ice Age by glacial movement which not only tore up the gouges the lakes sit in but also shifted a lot of minerals and soil. This makes the region incredibly diverse in terms of terroir. It is also a fairly large region, taking about 1.5 hours to get from the most North East point to the most South West point. It’s lovely driving this time of year, as most of the trees have lost their leaves and it is quite stark. There are numerous small towns throughout upstate New York, looking quite rural but not poor. During the Summer this place gets pretty busy, and there is a lot to see, do and taste. The wines aren’t enough of a draw-card like they are in the Napa, but in a few years the 50% of the US population who live within a days drive will be flocking here to gobble up the wines. 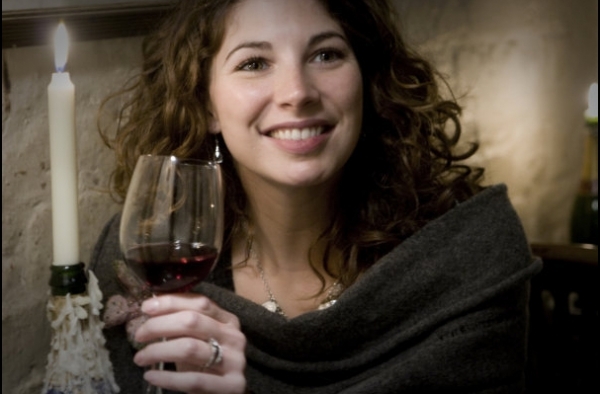 Quick question; how many readers actually knew that they made wine in New York State? 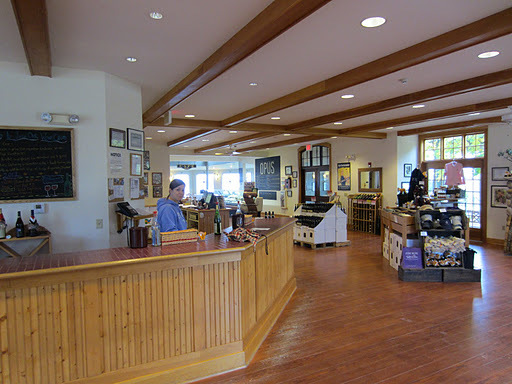 If you answered yes, how many knew that grapes were grown here dating back to 1829. Much like in the West Coast, Prohibition and phylloxera all but destroyed the wine industry here, and it wasn’t till after the end of WWII that it was re-established. Until the 1960s varieties planted here consisted of either native varieties or hybrids between French and American varieties. Many might think that it is simply too cold to allow grapes to ripen sufficiently. 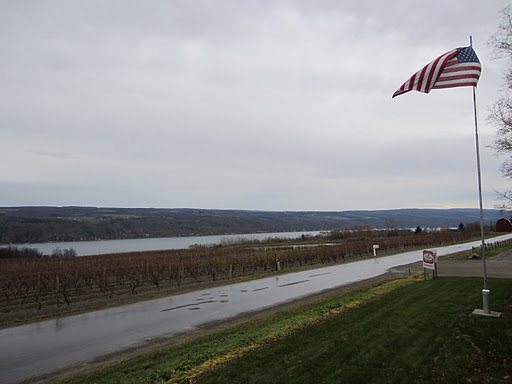 Similar to the Niagara Peninsula, the vineyards in the Finger Lakes are planted near large bodies of water which have a moderating influence on the micro-climate, reducing the difference between daytime and nighttime temperatures allowing for a more even ripening. It gets pretty cold in winter here though, so grafting onto European vinifera varieties onto native root-stocks is vital to survive the severe cold.